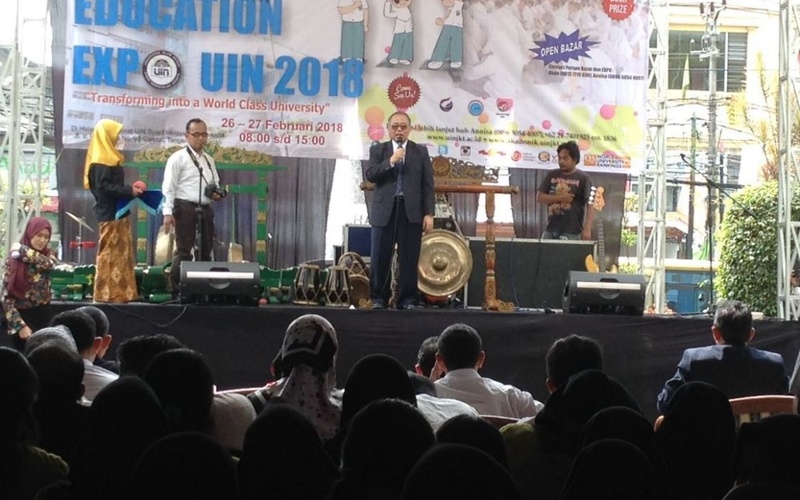 Rectorate, UIN News Online – Rector of UIN Jakarta Prof Dr Dede Rosyada MA officiated the opening of UIN Expo 2017 at Rectorate’s courtyard, Campus I of UIN Jakarta, Monday, (02/26/2018). Present at the opening event, all vice rectors, Deans, Bureau Chiefs, as well as several invited guests. This event will be lasted in two days, Monday-Tuesday, (02/26-27) and attended by all faculties, post graduate school of UIN Jakarta and UIN Jakarta’s partner. Rector in his remarks appreciated the event and expected that the number of registrants and attendees for this event will increase in near future. 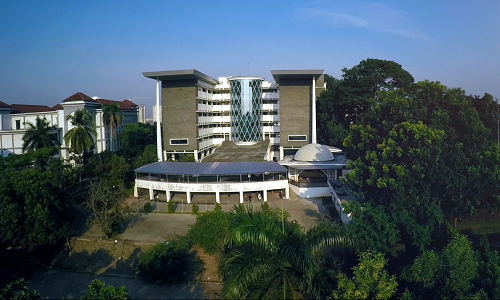 He also expected that this event could deliver the accurate information about UIN Jakarta to the visitors. At the same place, the Bureau Chief of Academic Administration and Cooperation (BAAKK) Drs. H. Zaenal Arifin, M.Pd.I explained that said Education Expo aims to provide information to the public about the UIN Jakarta, so they will make the UIN Jakarta as the first and foremost choice in continuing their studies. 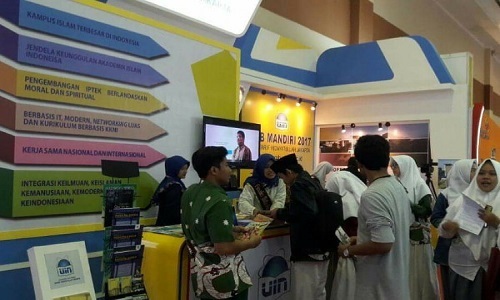 This event is also a means of informing the public about the current achievements of UIN Jakarta. “We hope this event can be a media in sounding the information about UIN Jakarta to the public,” he explained.